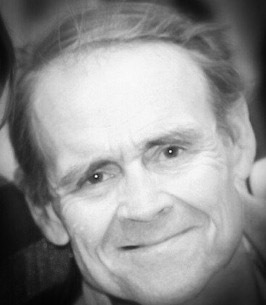 Dennis Lee Cauley, 72, former resident of Graceville, MN, died on January 10, 2019, at Colorado Acute Long Term Hospital in Denver, CO. He was born November 1, 1946 in Graceville, MN to Thomas and Dorothy Cauley. He was a farmer and an owner of Speedway Storage Units and Racetrack. He was a member of St. Mary’s Cathedral in Cheyenne, WY. A Prayer Service will be held at Holy Rosary Catholic Church in Graceville, MN, on Saturday, January 19, 2019, at 11:00 a.m. Visitation will take place one hour prior to the service. Burial will take place immediately following the service at Graceville Consolidated Cemetery. He is survived by his children, Christine (Joel) Miller of Iowa, Mikhail (Olga) Mikhaylov of Cheyenne and Alexander Cauley of Broomfield, CO; grandchildren, Eric, Drew and Audrey; siblings, Roger Cauley of Minnesota, Thomas Cauley of Washington, Angela Nosbusch of Minnesota, Richard Cauley of Minnesota and Geraldine Behrens of Minnesota.